In recent history, the Los Angeles Dodgers have owned the National League West division, winning it five straight seasons from 2013-17. It’s something that had never been done by any NL West team before. The Dodgers went into the 2018 season as the favorites to be crowned division champions once again, as they returned most of their core nucleus of players from 2017. That of course was a season in which they led all of baseball with 104 regular-season wins and made it all the way to Game 7 of the World Series. 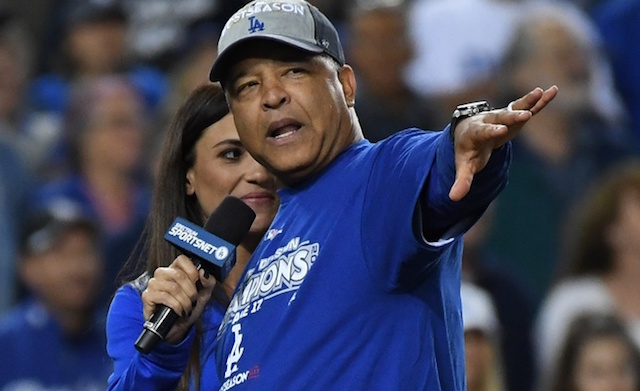 Manager Dave Roberts’ club has gotten off to a slow start so far though, sitting under .500 and closer to the bottom of the NL West standings than the top of it. A month into the season, the Dodgers are no longer considered the favorites to win the NL West. Many have become fond of the Arizona Diamondbacks, who got off to a historic start in terms of their franchise history and are 19-8 entering play Monday. The Diamondbacks have yet to lose a series in 2018, and they have owned the Dodgers in head-to-head matchups, winning five of the six games thus far. The two teams meet once again beginning Monday for a four-game series at Chase Field. The Dodgers will have an opportunity to make up some ground in the standings, which could prove valuable down the road with the two teams getting off to drastically different starts to the season.